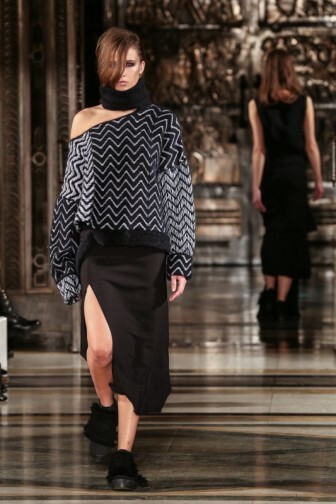 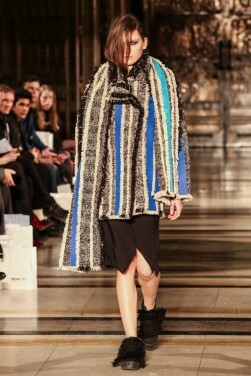 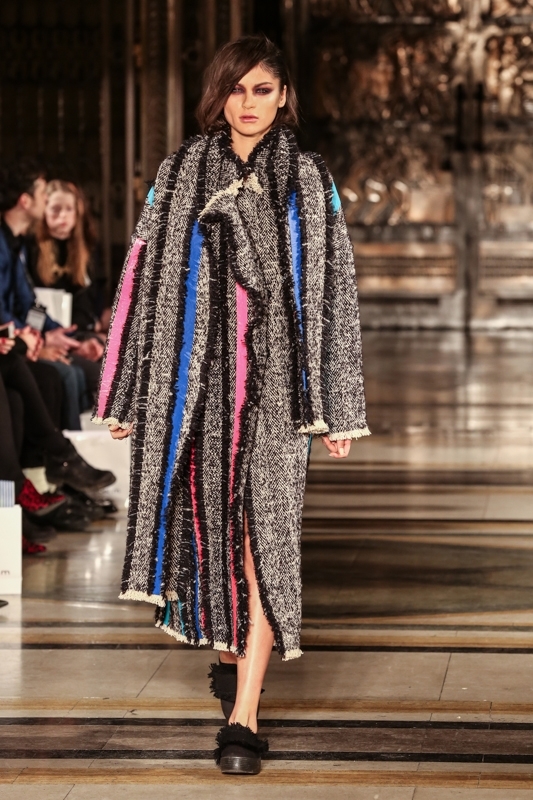 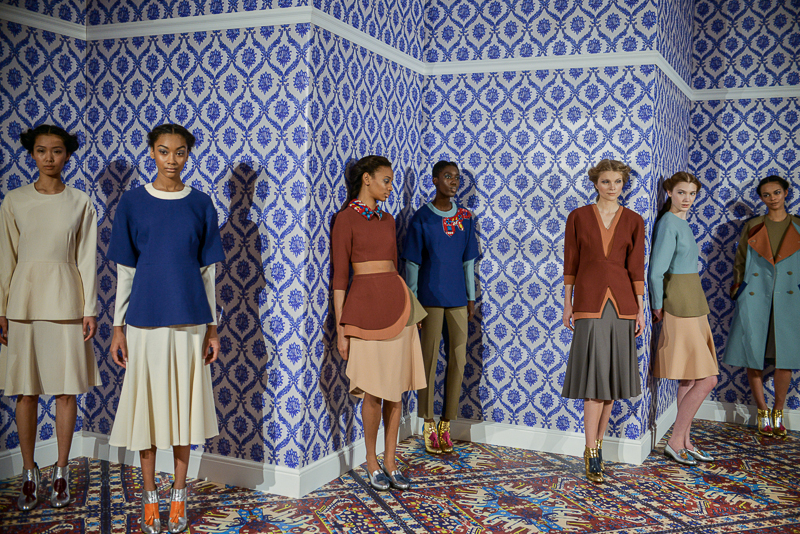 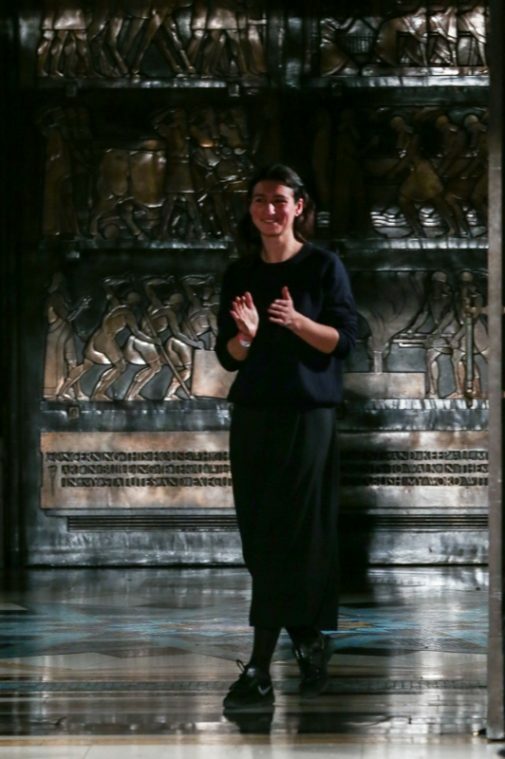 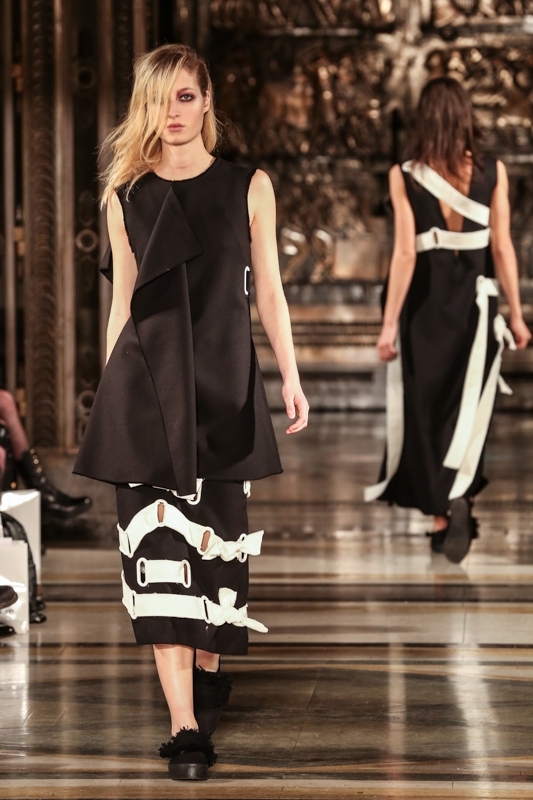 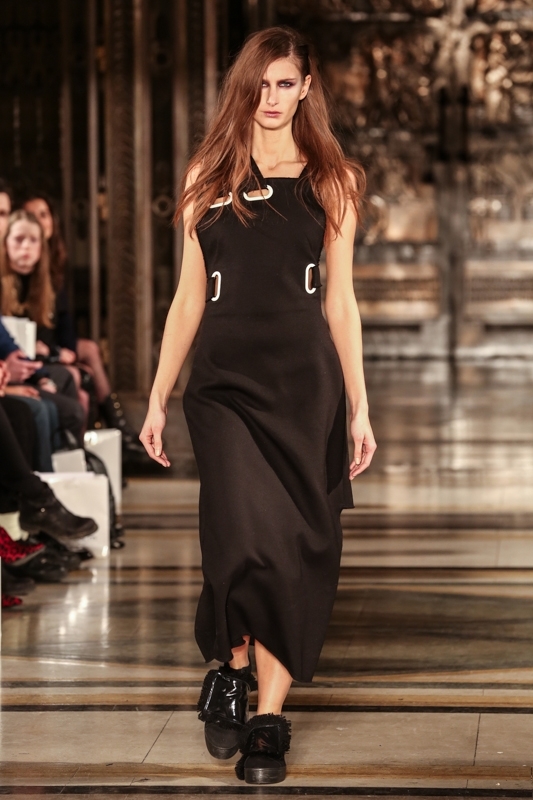 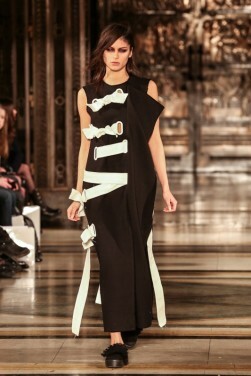 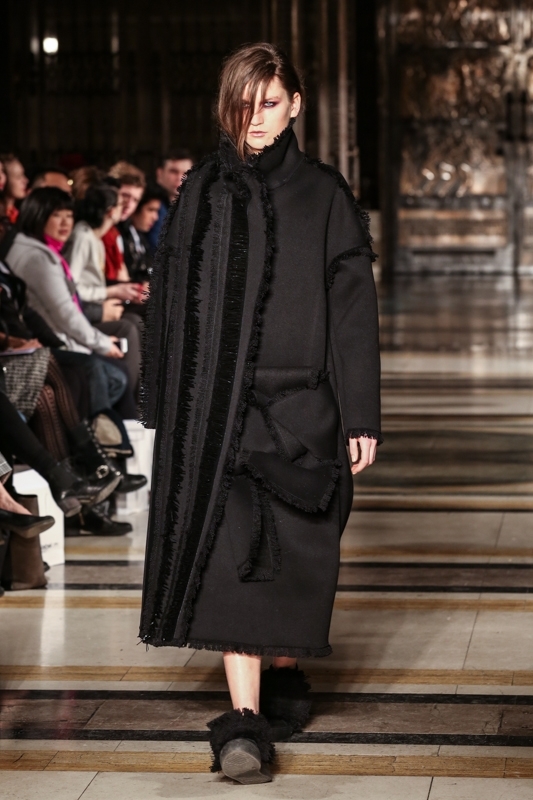 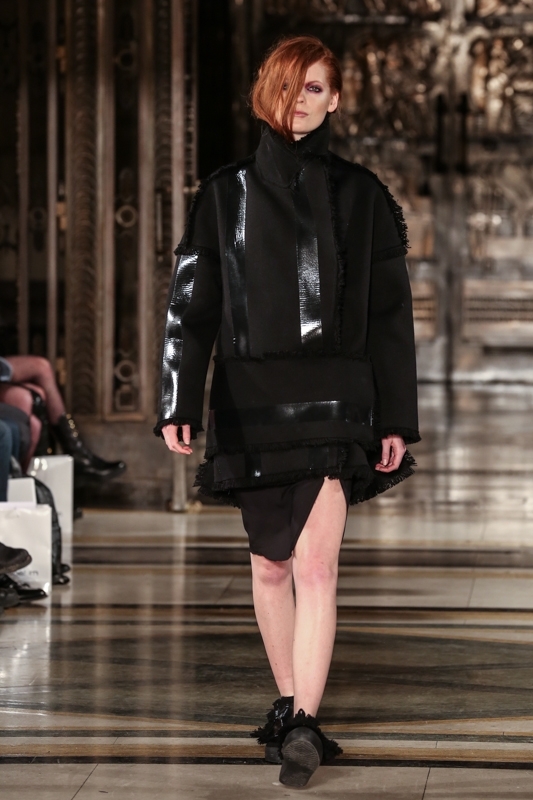 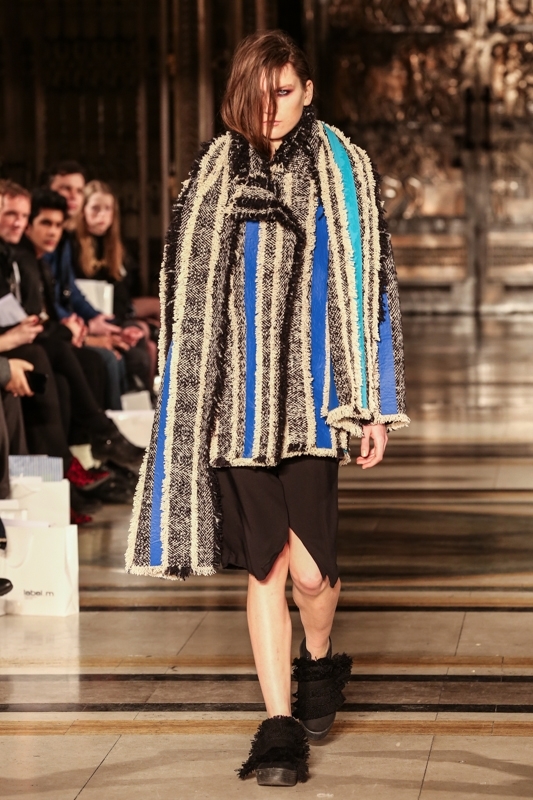 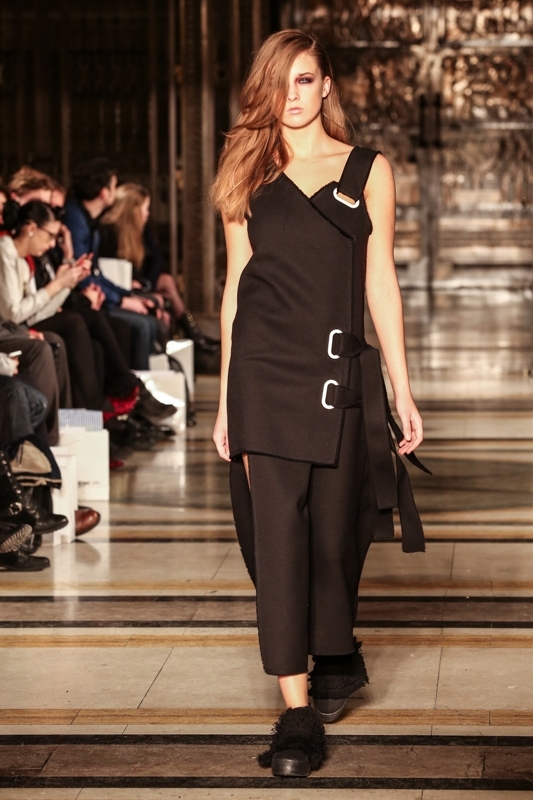 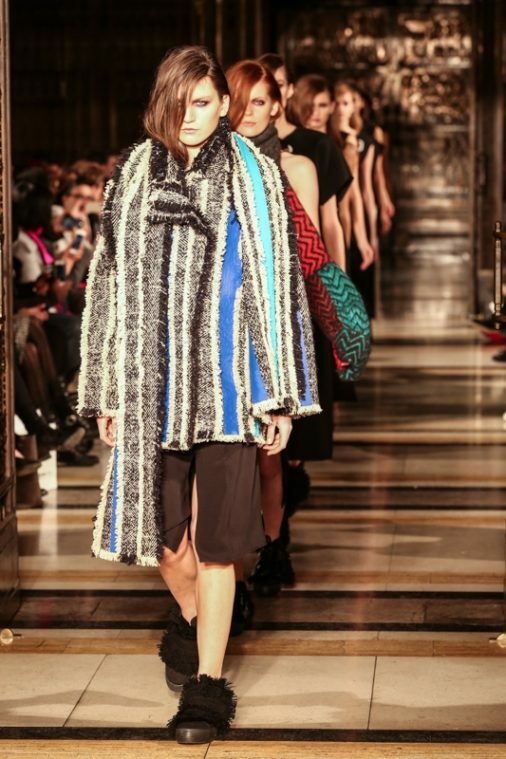 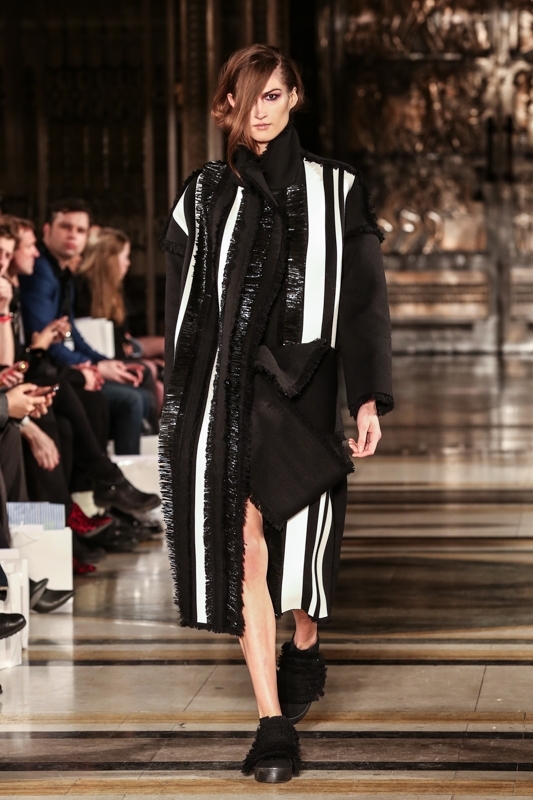 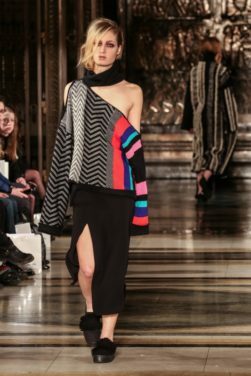 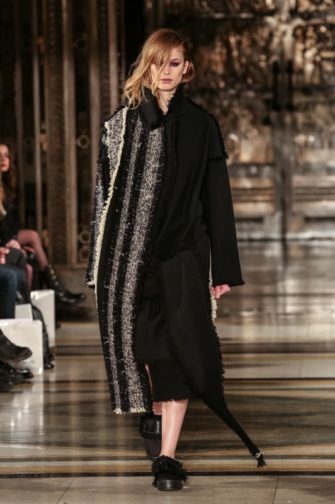 A chilly Sunday afternoon was brought to life with the showcase of Yulia Kondranina’s autumn/winter 2014 catwalk show at Freemasons’ Hall. 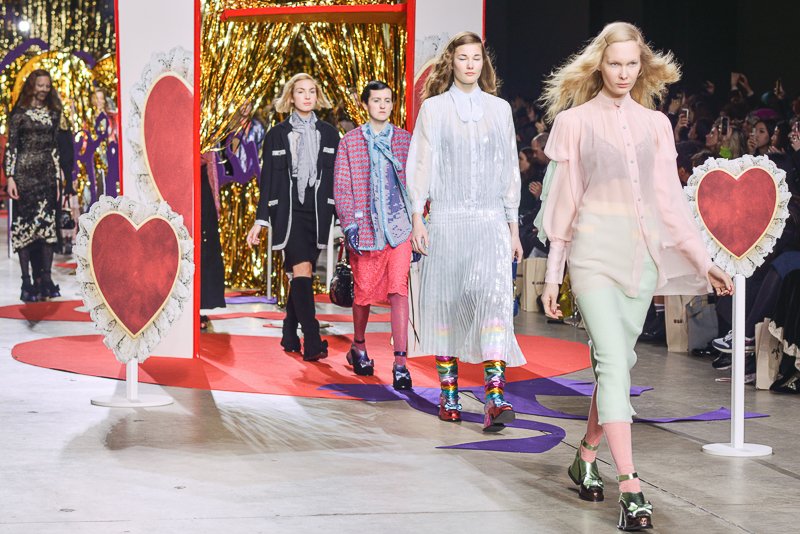 A slightly less packed-out show space than usual was illuminated with a magnificent combination of textured pieces and frayed lines, and the crowd was certainly not left disappointed. 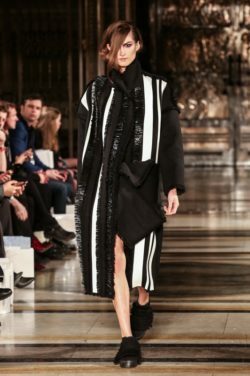 Starting with a more monochrome approach, Yulia’s take on next season began with simplistic shapes that were adapted to create rougher, more rebellious looks. 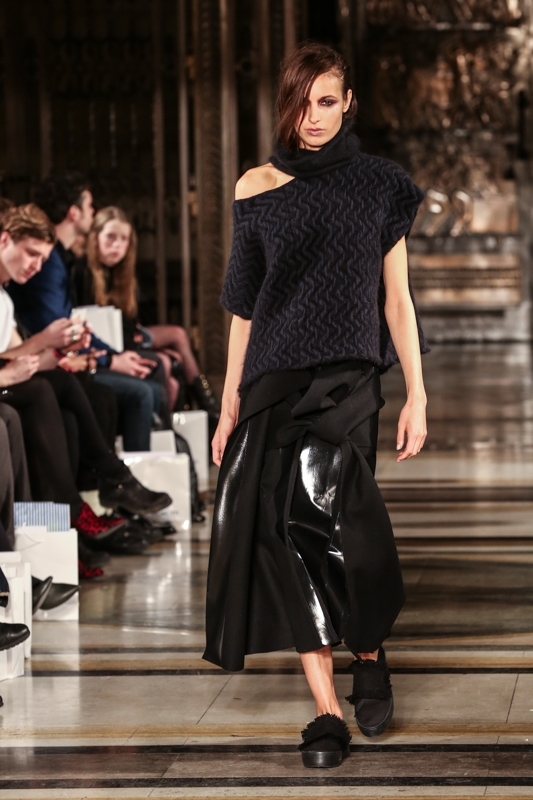 Off the shoulder looks as well as draped and frilled pieces were combined with split skirts and garmets, which featured random additional material pieces scattered in all of the most appropriate of places. 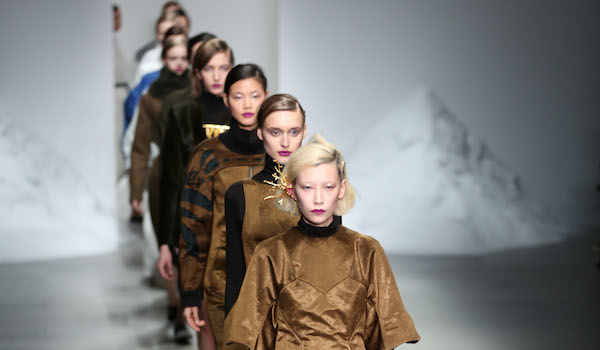 Zigzags and colour came next, in the forms of oversized coats and capes, teamed with halter necks and open-backed dresses. 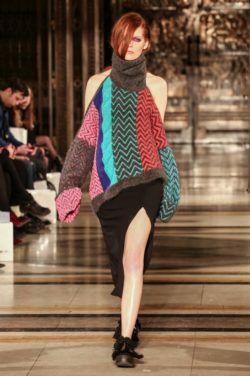 Then, in a quirky twist on the previous looks, Yulia’s girls presented us with several different pieces featuring a buckle-like detailing. 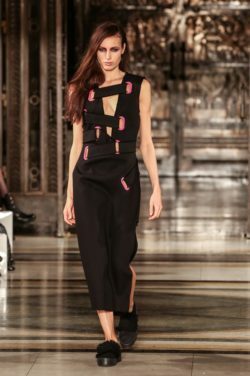 Adding in additional strips of material in diagonals and vertical lines, the buckles changed from white to pink, giving an additional grungy feel. 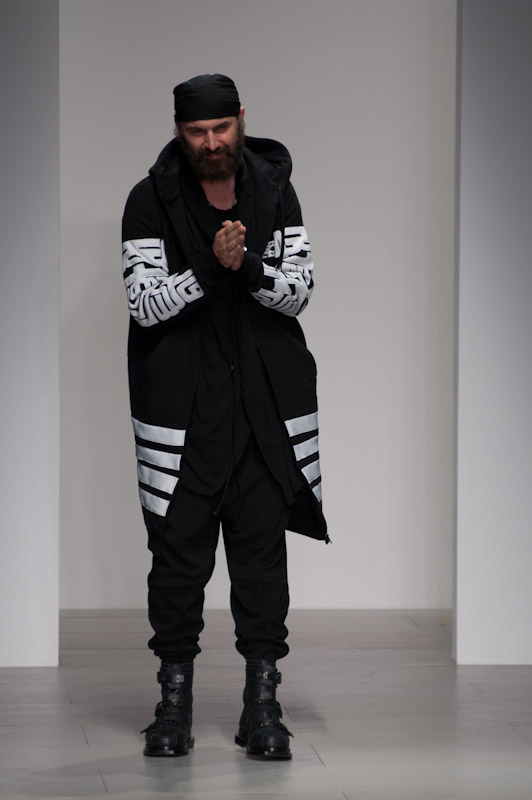 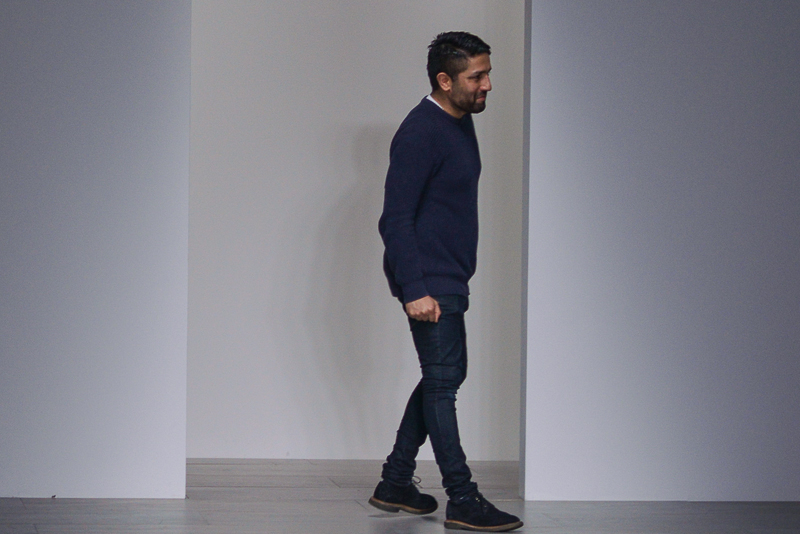 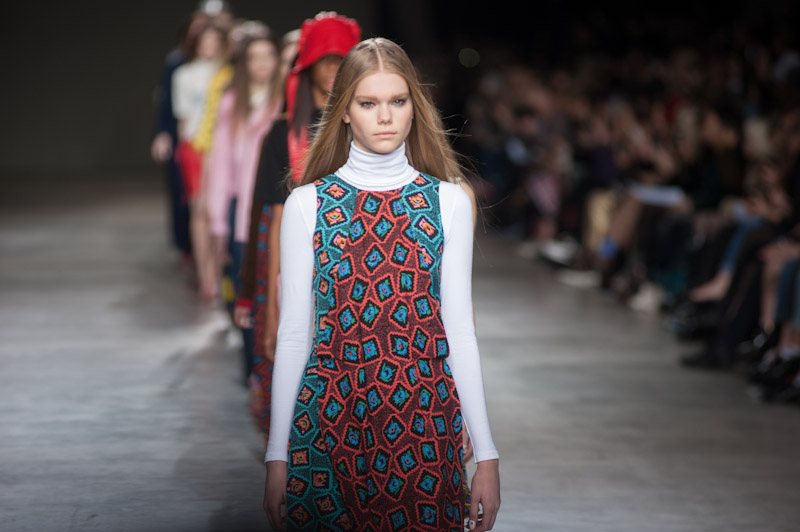 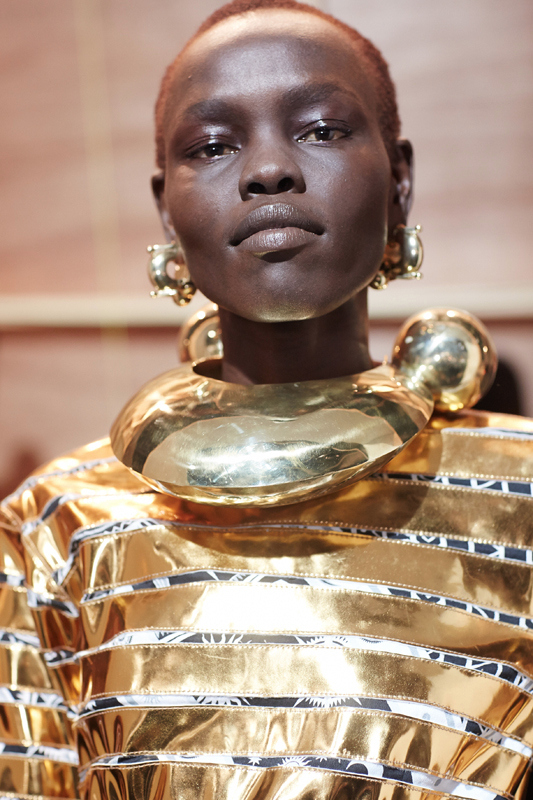 The Central Saint Martin’s graduate who was a “one to watch” from last year has certainly stepped up to the plate and her take on autumn/winter 2014 ensures she isn’t going anywhere any time soon.